After the end of the Second World War, the Nazi crimes against Roma and Sinti were hushed up for decades, and the survivors once more subjected to exclusion and marginalisation. On the other hand, in many cases those responsible for the genocide were able to live their lives as respected members of West German post-war society and to pursue their careers without any fear of punishment. Thanks to the commitment of the Central Council of German Sinti and Roma, the situation has changed. 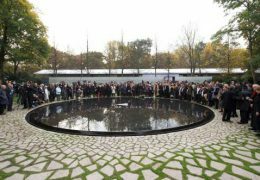 The people involved in the civil rights movement made their voices heard with such sensational actions like the hunger strike in the former Dachau concentration camp. 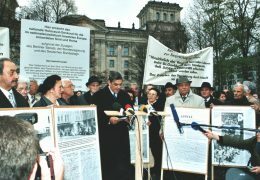 In 1982, Helmut Schmidt was the first German political leader to recognise the racially motivated genocide of the Sinti and Roma. 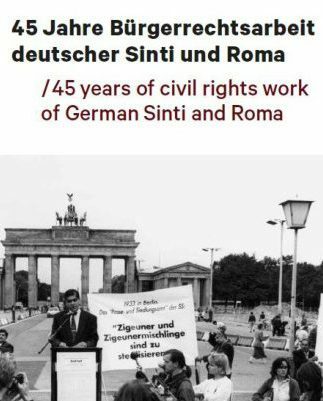 The Central Council of German Sinti and Roma with its seat in Heidelberg was founded in the same year. 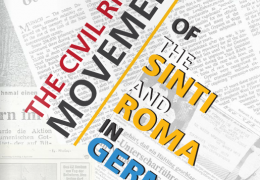 The civil rights movement of German Sinti and Roma was able to make the Nazi past into a social issue and to successfully defend the interests of the minority time and again. Now, for the first time, there is an exhibition solely devoted to the history of the civil rights movement: photographs from five decades draw attention to the more and less well-known events. In this way, the exhibition contributes to the long overdue preoccupation with this chapter of German and European contemporary history. This historical embeddedness is particularly important in view of the wide-spread Antigypsyism and the difficult situation of Sinti and Roma in many European countries. The exhibition speaks about championing equality and human rights, which is still necessary today. The catalogue can be downloaded online or ordered through our office.